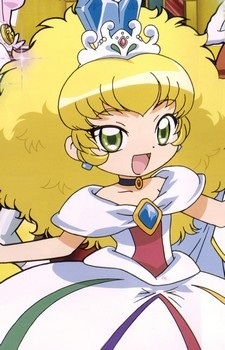 Altezza is the princess of the Jewelry Kingdom and Bright's younger sister. Unlike other princesses, she aggravates easily. Altezza often yells at people and gets mad when something that she wants never gets done. She also likes to show off. A good thing about her is how she really cares for her brother, Bright. She is admired by Prince Auler. Note: Her name was originally spelled with "ss", but CDB and CDB2 doesn't have her name as "Altessa".